NEVER, EVER EVER, go to Freddie's house for drinks. It's not safe to be friends with THIS guy. I laughed. Now I feel sorry for him. 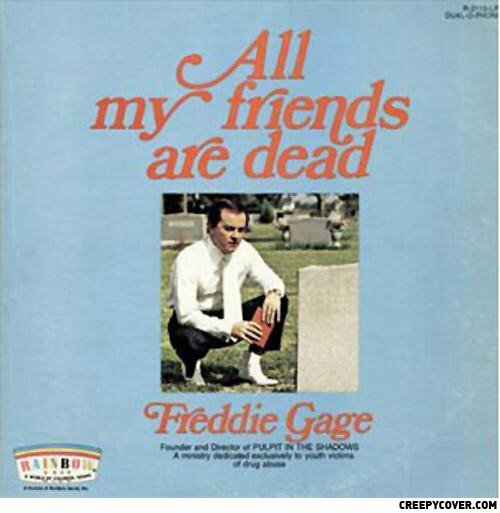 Freddies first album "All my friends are dead" shocked the music world and went straight into number one. However, with most artists he had "Second album" problems. "I watched my mother die of cancer" never did quite live upto the hype. mm.. yes, but those shoes..jeez! What's worse then having gum stuck on the bottom of your shoe? Having a stick poked in your eye.